More and more electronic systems are developed each year to sustain patients and medical professionals in their everyday life. Nowadays, it is possible to drastically improve performances, miniaturization and power efficiency structure of the electronic medical devices to make patient and professional life easier. Indeed, the adoption of a new medical device is often linked to its autonomy for operating on battery, its form factor for wearable or implantable devices and its performances for professional equipment. Combining all required performances could be possible by developing optimized electronic based on an Application Specific Integrated Circuit (ASIC). 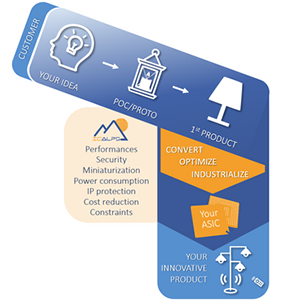 IC’ALPS can be your partner to check whether an ASIC is a relevant solution for your application. For this Discovery Lunch, Rémy GIRIN from IC’ALPS, will present you the ASIC approach (from specification to circuit production) managed by IC’ALPS, the possible benefits for your product, and some practical cases for which an ASIC has been a must and how to easily access to semiconductor technologies in compliance with ISO13485 standard. If you are already registered, please disregard this message. 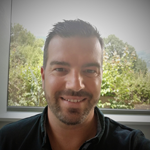 Rémy GIRIN is an experienced manager and business developer in the semiconductor market since 2004. He has a significant technical background including IP design, physical implementation and project management. The discovery lunch will be in French. The slide show will be in English. Festival TRANSFO – La santé du futur : impacts de l’innovation... Discovery Lunch : Reprendre le contrôle sur la donnée de santé !